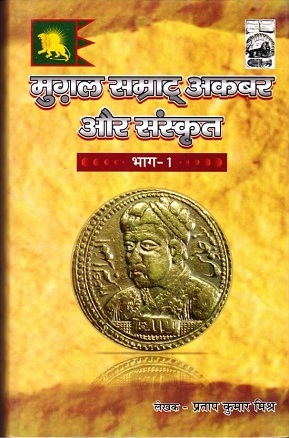 This work contains two parts in book form wherein the first volume has six chapters, deals and discuses deeply the contribution towards Sanskrit learning during the period of Mughal Emperor Akbar. The first chapter of this volume is focused on the life and achievements of Akbar briefly, while second chapter provides a fresh ground to the contributing ideas and situations to promote Sanskrit by Akbar. Third chapter is divided into four sections, wherein first section explains the patronage given to Brahmin Scholars in Akbar’s court, whether second is regarding the Jain scholars and priests of the court as such. Third section signifies the role of Muslim-Sanskrit scholars and fourth is dealt with Hindu Amir-umra of the court to promote Sanskrit Learning. Almost fifty unknown Sanskrit scholars of Akbar’s court are introduced in this chapter representing their remarkable relation with Akbar. According to the Historical facts and the results of the various renowned researches about medieval history and accordingly to the author of this book also, this is first attempt, focused on deep study about these Sanskrit scholars. It is an endeavour to set their connection with Akbar. Forth chapter is focused on Persian works translated form Sanskrit by the scholars of Akbar's court in his own supervision as well as fifth chapter is dealt with Sanskrit works translated for Persian as such. Translation in Sanskrit from any other language, either from India or belonging to other countries, is not known to us before the period of Akbar. In exception of one or more than two, there is not a single translated work in Sanskrit from Arabic or Persian, which could be available today. According to the author of this book, In this regard Akbar’s court was first contributor or promoter of such type of work, and we find that the first volume of AKBAR-NAMAH of Abul Fazl, briefly translated into Sanskrit as a task given by Akbar himself. The translation was called Sarvadesha-vrittant-Sangrah or Akbarnamah. Fifth chapter of concerned book explains this work deeply.